2. Would you like to get warm? We suggest you a special cup for easy tea infusion. This cup has an uncommon bottom that allows you to place in two positions. 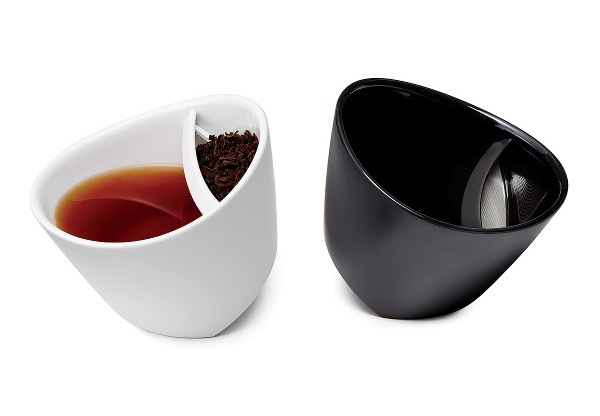 Pour tea into a special section, fill it with boiling water – shift the cup’s position. Your tea is ready! All the leaves are left in the section, meanwhile you can enjoy your freshly brewed hot tea! 3. Create yourself a good mood right in the morning! 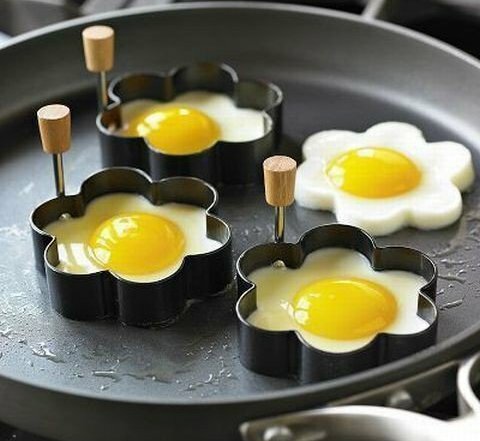 It is very easy to do that with the help of cheerful molds for fried eggs. Any child will be excited to eat a couple of such flowers for breakfast. 4. Thermometer for every piece of meat is an indispensable thing at barbecue. 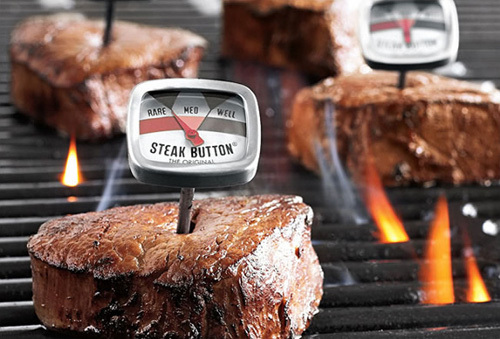 Using this gadget you will always get appetizing and juicy steaks. 5. 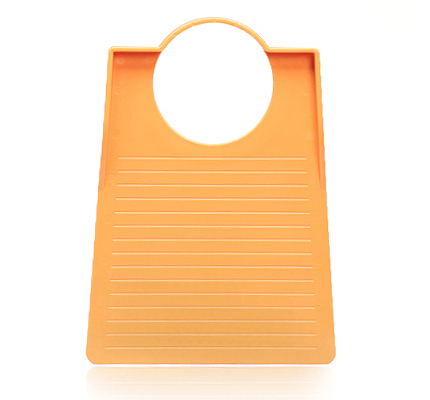 Convenient cutting board with a hole will deliver you from extra troubles. With its help you will easily transfer diced vegetables to a bowl, avoiding juice spilling on the table. 6. 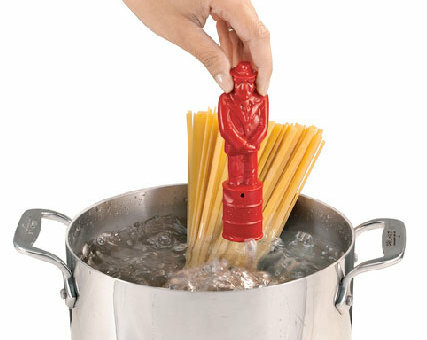 An interesting novelty! 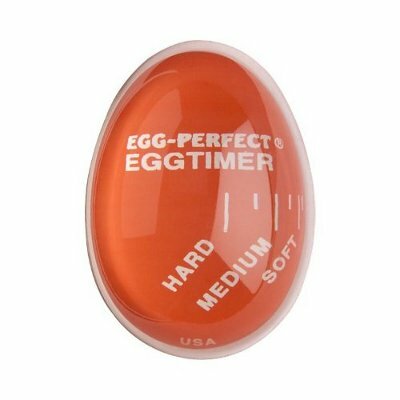 This electronic egg should be boiled with usual eggs. It changes the color, according to the level of cooked eggs (hard, medium, soft). To reconvert it, you just need to put it into cold water. With its help you will never overdo eggs! 7. 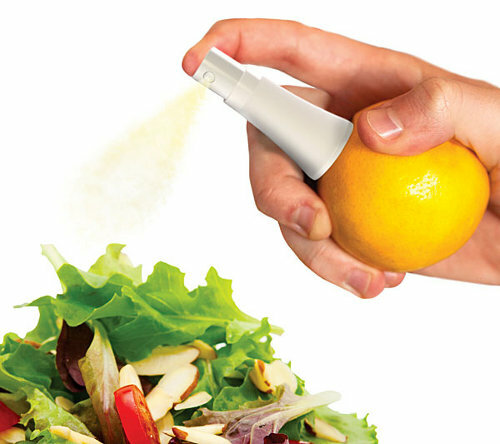 This peculiar device allows you to spray any dish with fresh fruits juice easily and fascinatingly. One pressing and a light touch of citrus will complement your salad or juicy steak. 8. Clever scale determines not only the weight of the product, but also the amount of calories, fats and carbohydrates in it. This is a real boon for a modern housewife that allows to know everything about the products! 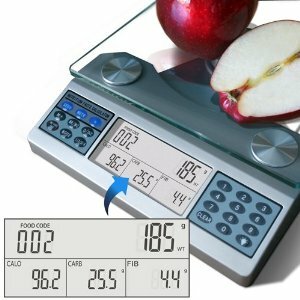 An ideal gadget for those people, who keep to a diet and wish to count the amount of used calories and sugar per day. 9. Do you like to cook while listening to music? 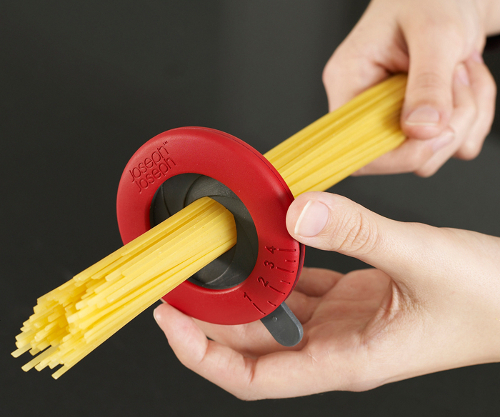 This gadget will not just let you know when the pasta is ready, but will also … sing opera! What could be more refined, then cooking dinner by candlelight and to Rigoletto opera? Just drop this device into boiling water and wait for the music! 10. 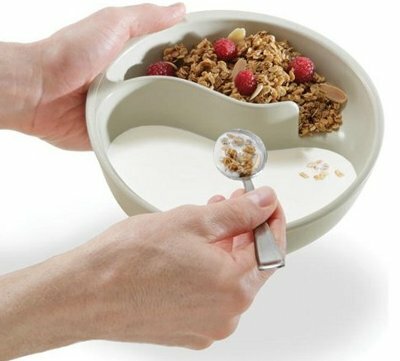 This unique plate will be a true godsend for all muesli fans. Admit that it is very unpleasant when muesli become damp and viscous. With this bright and uncommon plate you will never face this problem!